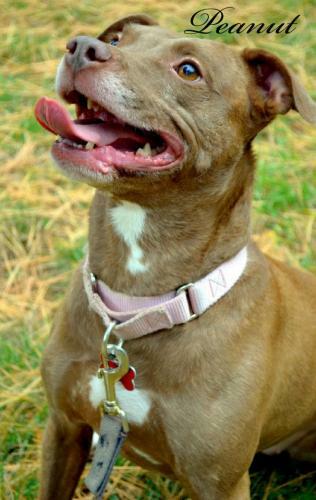 Peanut has been with Friends of Attleboro Animal Shelter (FAAS) since May 29, 2010. She spent the last year and a half getting love and attention in a foster home. Due to changes in the foster homes life she is now back at the shelter with us, and she hates that she cannot cuddle with people 24/7! Peanut just adores people of all shapes, sizes and ages! At 5 years old, Peanut is quite a character. She’s learned (for the most part) that to get affection from people, you sit quietly in front of them. On her outings, she’ll sit in front of everyone – and a lot of people don’t know what she’s doing! But no one can resist giving her a scratch on the head. And their kindness is rewarded with a kiss. Peanut also knows commands for sit, down, leave it, and here. Her new family will get a file about all of the games Peanut loves to play, which have the double-duty of teaching her calmness and patience. But the easiest way to calm this girl down? A blanket! Just pick up a blanket and she’ll race over, practically begging you to throw it over her. Nestled in, she’ll promptly go right to sleep! 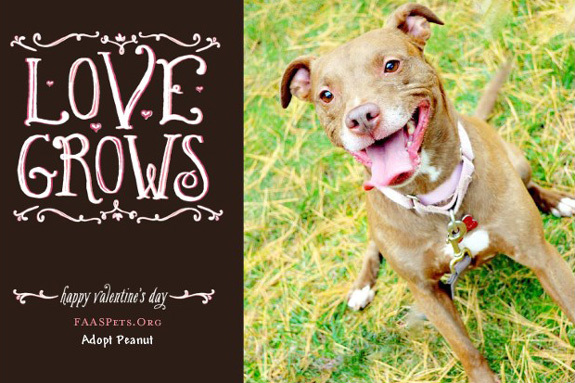 Peanut lives to love people! The one thing she still has a hard time with, however, is getting along with other dogs. She just can’t believe that she doesn’t have to defend herself every time she sees one. Her former foster family brought her to two courses (8 sessions) of Feisty Fido classes and she was top of her class. We are also willing to sponsor that continued training to her new adoptive family! This girl has captured the hearts of everyone around her. If you give her just one chance, she’s sure to capture yours, too! To learn how you can bring this sweetie home, please contact the Attleboro Animal Shelter either via phone: (508) 761-5617 or email at [email protected]. You can find more information about Peanut by visiting the shelter’s website or find them on Facebook. The shelter is located in Attleboro, MA. Great song! Who is the singer/songwriter? She looks just like my Bubba! I hope she finds a wonderful hope soon! @honeyremedy We do too, she’s a beauty! 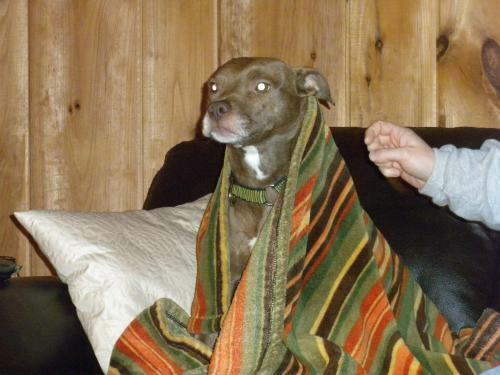 @christielici0us They DO love getting under the blankets!!! !